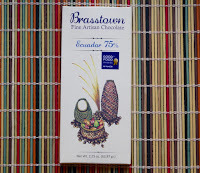 Welcome to Day #8 of Ecuador Chocolate Theme Week. 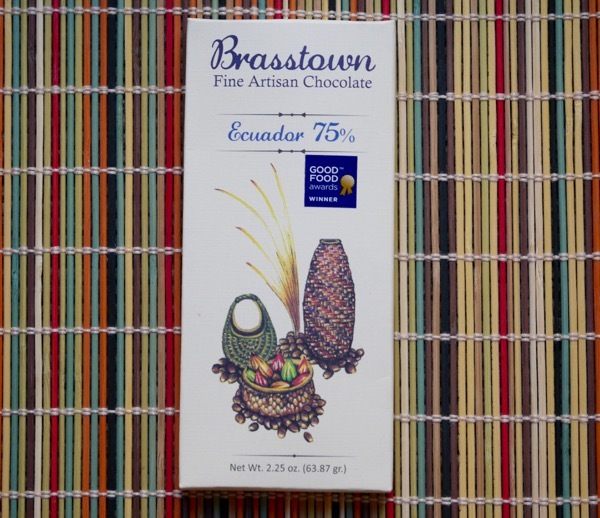 Today's Ecuador 75 percent bar from Brasstown Fine Artisan Chocolate (Winston-Salem, NC) had a subtle chocolately, fudgey, slightly green/floral and marshmallow aroma. The chocolate had an even, dark tasting arc, with a hint of cherry/fruit, and the strongest floral flavor notes of all the Ecuador bars this past week. The organic cacao beans for this bar came from Manabi, Ecuador. The bar contained just three ingredients: organic cocoa beans, raw sugar and organic cocoa butter. As noted in a previous post this week, cacao trees growing near the Equator have beans that are often "leaner" (contains less cocoa butter or fat) than cacao grown further away (north or south). And, since Ecuador is, literally, on the Equator, most single origin bars from this country contain at least some added cocoa butter. 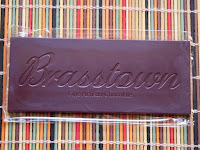 On a hot day, this bar may have a rich, slightly oily/buttery finish. It always amazes me how much weather or temperature, and other factors like what you had for lunch, can influence how chocolate tastes. This bar was a Good Food Awards Winner, and had no off notes or characteristics. I recommend it to people who are fond of the elusive floral flavors that can be found naturally in chocolate. 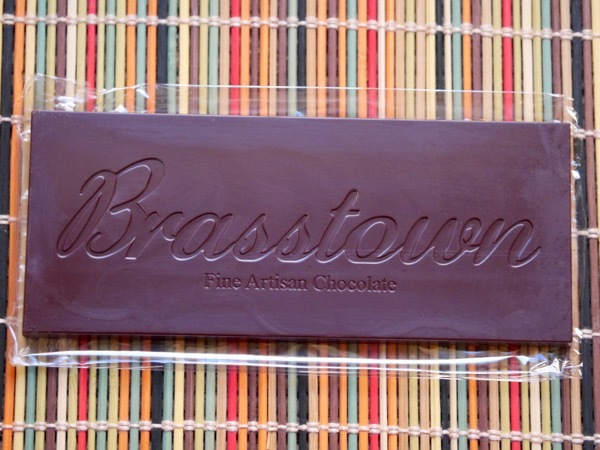 Brasstown Chocolate was founded by Rom Still and Barbara Price in Winston-Salem, North Carolina—a place, the founders and craft chocolate makers note, that has a strong artisan and crafts tradition.